Mitsubishi is one of Japan’s largest automakers. Mitsubishi cars are imported into the United States for sale and for lease. Mitsubishi is famous for its partnerships with other manufacturers. The most famous U.S. partnership was the Diamond Star Motors corporation that was co-owned by Chrysler. This is the partnership that helped Mitsubishi to establish itself with a solid foundation in the U.S. automotive market. 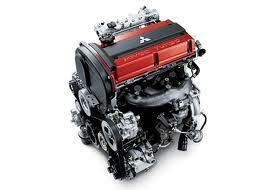 You’ll find that we support used Mitsubishi engines for sale here on our website. We’re one of the very few amounts of companies selling online that can pay the import costs it takes to sell these motors. Engines that are created by Mitsubishi are in demand from auto buyers. Instead of making entry-level 4-cylinder engines, some Mitsubishi engines are turbo editions. This instantly ups the value and is one of the selling points of owning one of the vehicles. There are many names like the Galant, Eclipse and Diamante that are known worldwide for their engines. We’re one of the premier used engine retailers on the Internet today. Our inventory was built on hard work and listening to our customer base. We decide to sell what customers want and not strictly what we want in terms of profit margins. We’re not into selling from auction websites. We also don’t take any engine that is just offered to us for purchase. We make informed engine buying decisions. Buying a JDM engine is a lot different than buying domestic ones. All costs must be considered during the initial purchase. Importing engines is quite an expensive venture. We pay the extra costs to get containers full of Japanese engines for sale here. We deal exclusively with top distributors and wholesalers. We’re able to bring in the motors that are already in good condition to sell. We don’t have to do mechanic work on a motor just to get it ready for sale. The quality of a Mitsubishi used engine here is fantastic. Our warranty period is always extended too. We’re not one of those here today and gone tomorrow engine sellers. We have a real warehouse, a live telephone number and a team of engine specialists assisting all customers. Our investments into inventory and our technology benefit all of our customers. Since we sell to average people and businesses, we offer everyone the same low pricing. It does not take special effort to benefit from our used Mitsubishi motors. What you’ll find is that our company is professional and always puts forth the effort required to make all customers happy. Get your quote right here from our easy to use website. Use the form we provide. You’ll appreciate to know that it is hooked up to our internal database. You will instantly know our in stock inventory levels as well as the low price you will pay. Call our team today to get phone quotes. We’re waiting to help you find the used Mitsubishi engine you want for the price you demand.